There is always one basic-ish recipe that has always alluded me. For a while, it was the vegan chocolate chip cookie, then it was the perfect vegan pancakes, but recently, I’ve been trying to conquer the perfect, fudgy dark chocolate vegan brownie. I’ve tried a few renditions of vegan brownies, some coming out too cakey, other always coming out too dry, and I knew something was missing. I do already have a deep dish version that I love, but it didn’t always translate over into a pan of brownies like I wanted them to. 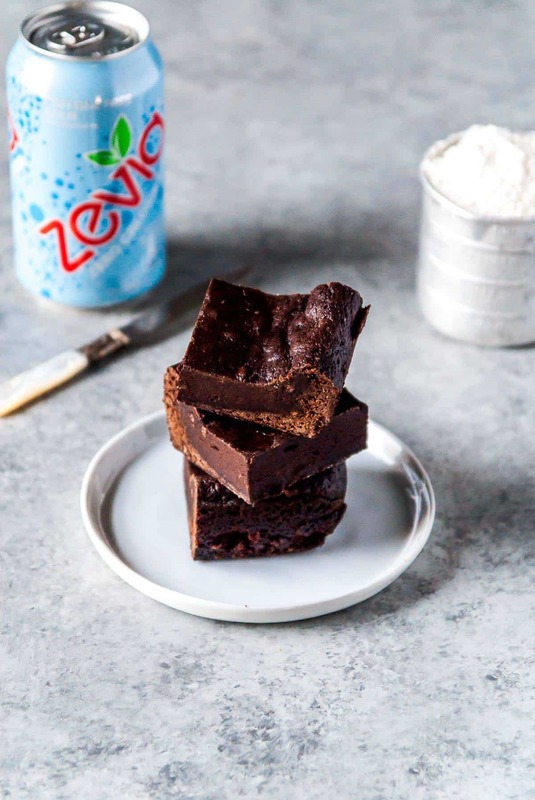 I really wanted a fudgy, vegan brownie, that was easy to pull together and came with all the crunchy edges and soft middles that are the marker of a perfect brownie. Lo and behold, I only had to look to my fellow baking blogger Oh, Ladycakes to find the answer. Her vegan brownie recipe won me over each and every time, using ingredients I always have in stock in my cabinets and making for a pretty quick bowl to slicing and eating time. So I figured, let’s tinker with it a bit! I kept the base of Ashlae’s recipe just about the same, but swapped out coconut oil for olive oil and splashed in a cup of Zevia cola for a little fizzy action in the batter. While these don’t necessarily taste like cola, I think the cola flavors combined with the dark chocolate and cocoa is a perfect combination. It’s a like a good back up singer, you can hear them and notice when they aren’t there, but it’s not the full-blown star of the show. Chocolate is obviously the standout here, so make sure you are using a good chocolate (lol, channeling my inner Ina) since you want the best bites of chocolate filled brownies possible. I also would normally bake brownies in an 8×8 or 9×9 square pan, but often, they came out too think or overbaked for my taste. For these, I instead baked them in a loaf pan. This makes a few less brownies in the end, but they also end up being thick, chewy, and perfectly chocolatey! Lesson learned here, sometimes you don’t need to mess with a good thing! I was going to try to create my own from-scratch dark chocolate vegan brownie recipe, but this one was already perfect. I’ll probably still tinker with the base because I can’t leave well enough alone, but for now, these are going to be my go-to brownie recipe. 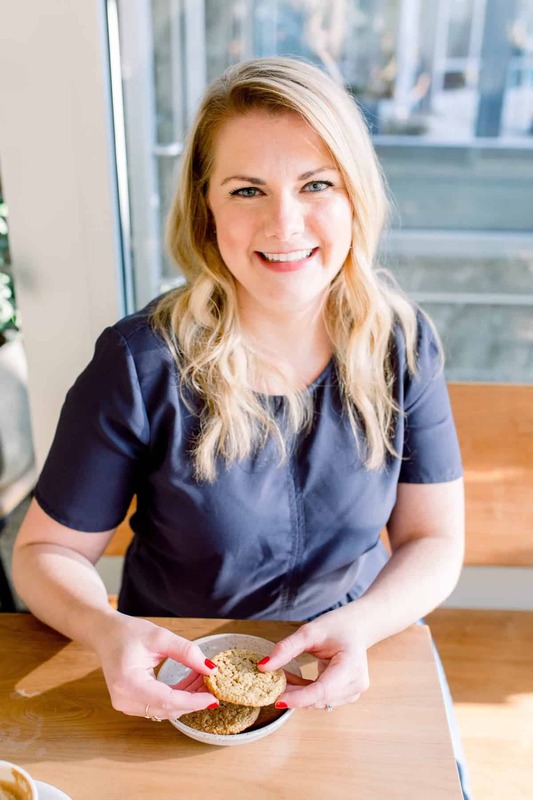 Also, I usually take my recipes to work or send them to work with my husband, but he kept them close to home, eating a brownie almost every day before work or for a sweet treat after dinner. I’ll consider it a baking win! 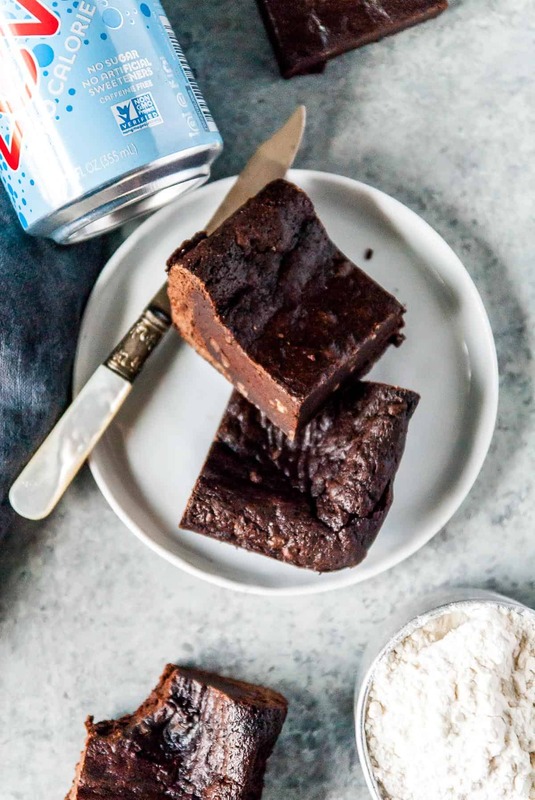 The perfect rich, decadent dark chocolate vegan brownies, with a cola twist! Preheat oven to 350 degrees F. Line a loaf pan with parchment paper and grease the pan. Set aside. In a large bowl, whisk together the flour, cornstarch, cocoa powder, baking soda, and salt. In a small, microwave-safe bowl combine the olive oil and dark chocolate chips and microwave for 30-second increments, until chocolate is melted. 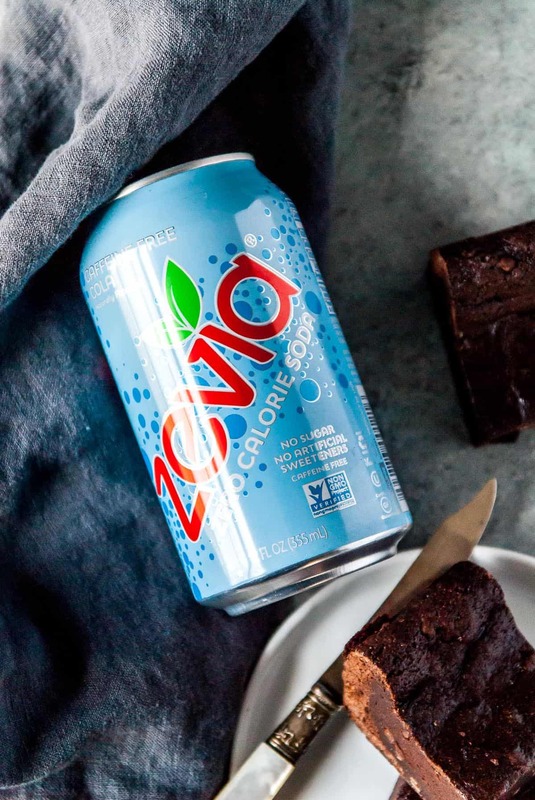 Stir in the sugar or stevia equivalent, almond milk, and Zevia Cola. Add the chocolate mixture to the flour mixture, combining with a spoon or spatula until no flour streaks remain. Pour the batter into the prepared pan and bake for 25-30 minutes, or until edges are well done. The middle of the brownies is still going to be soft to the touch, but they will be solid as they cool. Allow to cool before cutting. Can be stored in a sealed container for up to a week. Thanks Puja! Hope you love it! Just made brownies inspired by these. 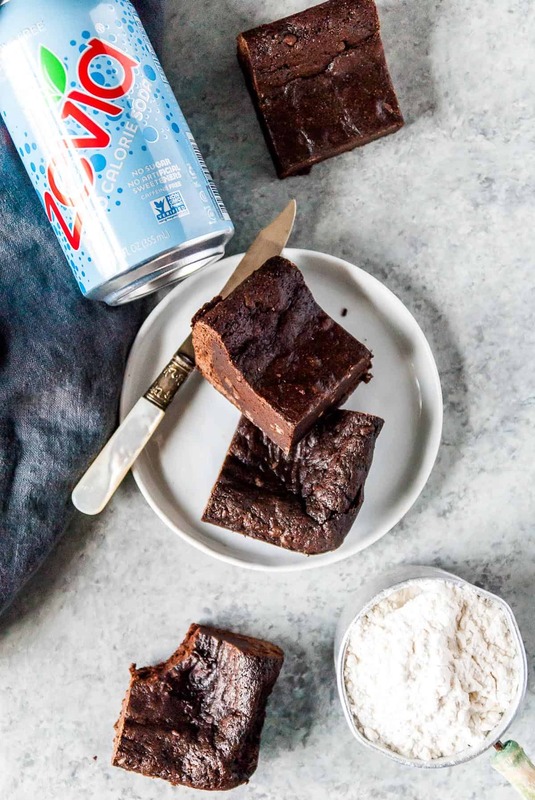 I had been looking for a way to bake with stevia cola for a few months because I don’t like to drink it and brownies were the perfect recipe! More fluffy than the typical brownie, but super delicious! These were delicious! However, I had to bake them for almost 50 minutes in a loaf pan.